What is meant by “intuitive eating”? Intuitive eating encompasses trusting your own inner wisdom to guide you, distinguish between physical and emotional feelings as well as making peace with food, your body and self-worth. Intuitive eating might sound simple but it is actually quite complex as our belief system and rules about eating evolve over time. Our family upbringing, genetics, environment and exposure to nutrition information and dieting can confuse or disrupt our ability to trust ourselves. How do you know if someone is an intuitive eater? 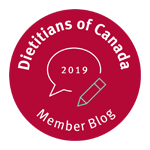 I often ask our clients a range of questions to find out their food rules, fear foods, foods they will “never eat” or “shouldn’t have” to get a sense of where there is distrust with food and their body. What are the principles of intuitive eating? Any restrictive diet that does not allow flexibility over your intake is doomed to fail. Stop chasing the latest and greatest cure-all weight loss books as diets can temporarily lead to weight loss but don’t address long-term sustainable weight loss. Simply put, eat enough. Denying yourself enough calories, carbs, protein and fat will trigger a primal drive to over-consume. Have unconditional permission to enjoy ALL foods. There are no good or bad foods. We all want what we can’t have – if you deny yourself enjoyable foods it leads to overeating and guilt. We all have an inner critic that needs to stopped in order for us to succeed. Your automatic thoughts that tell you were good for starving yourself or bad for eating a forbidden food, need to be addressed. Recognize these unhealthy thoughts and “thought stop” aka (scream a loud “NO!” to these damaging thoughts in your head). Slow down, eat away from distractions and tune into your body signals for fullness. Check-in at the start, mid and end of a meal about hunger and fullness. Don’t judge, trust. Make eating enjoyable and non-judgmental. When you slow down, eat pleasurable foods as well as dine in a non-stressful environment you will find less is always more. What’s eating you? Lonely, angry, bored or anxious? What emotion am I trying to stuff by eating or (starve by not eating)? How can you comfort yourself without food? While food may be a quick fix it doesn’t provide a lasting solution and usually makes you feel even worse. We all have a unique “best weight” which is like our personal best that can’t be measured on a chart or by a number you want to be. Just like you can’t change your shoe size, you can’t change your genetic set point to be a certain body size or shape. You likely won’t like this but would you be willing to work towards accepting this? Stop extreme makeover workout attempts and move your body for health, energy and because it simply feels good to be active. You don’t need to be perfect – as I like to say “imperfect is actually perfect.” Choose foods that both respect your health, energy and productivity at work but also be sure to consume soulful foods that are chosen for fun and taste. Make life delicious! 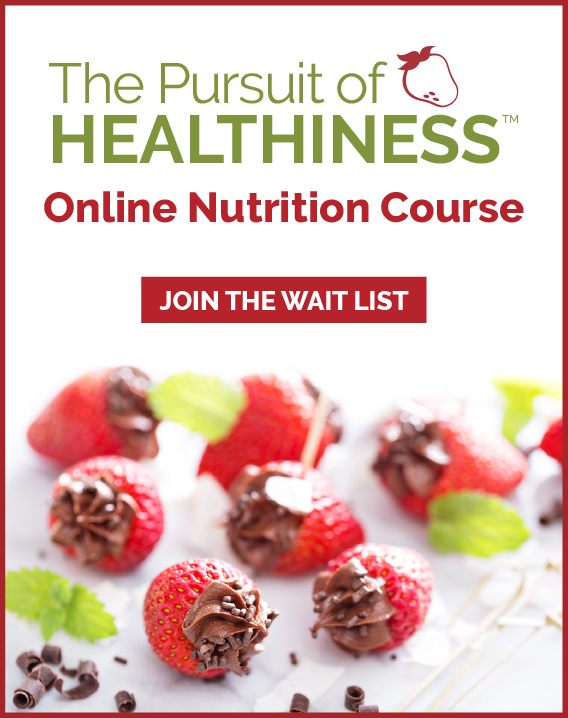 Visit Andrea’s website www.healthstandnutrition.com and book an appointment with a Registered Dietitian. 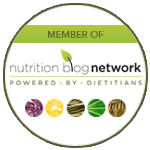 They are Calgary nutritionists that use the approach of intuitive eating in their nutrition counselling. 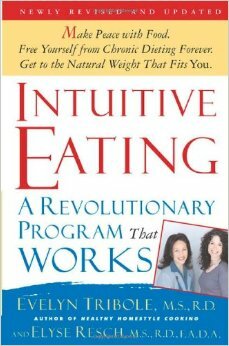 Purchase a copy of the well known book Intuitive Eating by Evelyn Tribole and Elyse Resch. It is a must read!